They really seemed to know all about the process and what can go wrong. (It sounded complex and lots could go wrong). 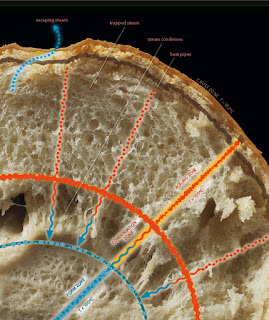 That led me to wondering about the science behind baking bread. 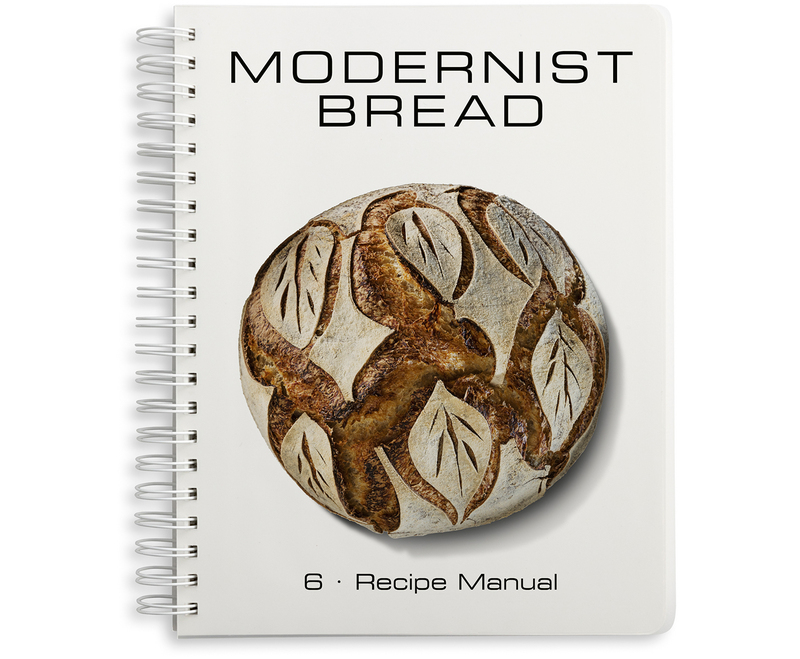 Humans have been baking bread for thousands of years. At its simplest, all you do is mix flour and water, and bake it. But it gets more complicated and there's a lot of science involved. Nathan Myhrvold, a physicist and former Microsoft Chief Technology Officer, founded Intellectual Ventures Lab, which performs scientific experiments with food. 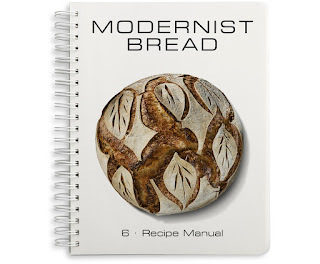 Last year they published Modernist Bread, a 6-volume 2642-page book about bread. It reflects information from 1,600 experiments. Want more dough? As for a raise. Flour and water and 18 minutes of baking will get the flat bread called matzah. Most people who eat this for a week find it boring, to say the least. Comparisons to cardboard are common. 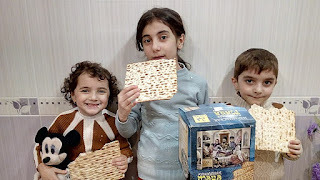 Jews are required to eat matzah and no leavened bread for the seven days of the Passover festival. The easiest and quickest leavened bread is soda bread. You make this by adding baking soda or baking powder to the mix. Baking soda is simply sodium bicarbonate (NaHCO3). When it's mixed with an acid, the reaction releases carbon dioxide gas. Common acids in bread recipes include cream of tartar, lemon juice, yogurt, buttermilk, cocoa and vinegar. You have to get the right balance of acid and baking soda. 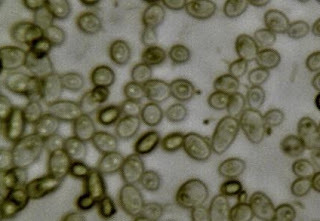 If you have too little acid, unreacted baking soda will taste metallic and bitter. Baking powder makes life easier. It consists of baking soda pre-mixed with dry acid. Adding liquid is all you need to add to get little bubbles of gas. (See it for yourself: add water to some baking powder and watch it fizz; add water to some baking soda - no fizz until you add lemon juice). It's not as quick and easy, but using yeast to get the carbon dioxide bubbles tastes better and is more versatile for getting different bread textures. Yeast is a single celled fungus that feeds on sugar and transforms it into alcohol and carbon dioxide gas. Where does the sugar come from? Adding water to flour allows enzymes in the flour to convert starch within the flour into sugars. We need some sort of framework to capture the carbon dioxide bubbles. The best material for this is gluten. Gluten consists of long, elastic protein chains, which form rubbery networks, perfect for capturing gas. It's a lot like a balloon. Handily, wheat flour contains two proteins, glutenin and gliadin which, when combined with water, form gluten. has a great demonstration of the difference and really shows the elastic property of gluten. Most bread recipes mix the dry and wet ingredients and then leave the dough for an hour or two to do its magic: breaking down the starch to form sugar, which feeds the yeast cells, giving off bubbles of carbon dioxide which are captured in the gluten network. The dough will rise to about double its original volume. This is called proofing. Then you knead the dough by repeatedly folding at and squashing it. This helps develop the gluten network to make it stronger and more elastic. Some recipes repeat the process of letting the dough rise and kneading it - sometimes several times. It's time to bake. As the dough heats up in the oven, the carbon dioxide bubbles expand. New bubbles are also formed because the alcohol (remember that yeast produces both carbon dioxide and alcohol) and the water which the starch absorbed, both vaporize. So the dough rises again. This is called "oven spring". Heat is transferred from the outside of the loaf through "heat pipes". Adjacent bubbles transfer heat from the outer side by water boiling on that side and steam condensing on the inner side, releasing heat to start vapourising the next bubble in the "pipe". The rising heat kills the yeast cells, hardens the gluten network and caramelizes sugars on the crust of the loaf. If the experiment was successful, you now have a hot, crusty, delicious loaf of bread. Full disclosure: I haven't yet put any of my newly discovered information to the test of actually baking bread. But I will! 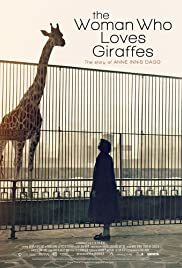 I recently had the opportunity to attend a screening of The Woman Who Loves Giraffes, a biopic about Anne Innis Dagg, a groundbreaking Canadian biologist who was the first to document much of giraffe behavior and ecology. Much like her better-known peers, Dian Fossey and Jane Goodall, Dagg pioneered the observational techniques of animal study, spending hours every day watching and recording every detail of giraffe behavior. Her story is fascinating, and so is she! Dagg wrote a wonderful children’s books about her life: 5 Giraffes, published by Fitzhenry and Whiteside. 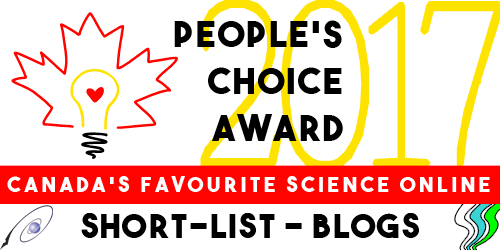 It was the 2017 winner of the Lane Anderson Award for Science Writing for Children.